Dubai Air Navigation Services (dans) has reported a 25% growth in the number of skilled Emirati job applications it has received in the last three years, ahead of its participation in the 18th edition of Careers UAE. Opening Tuesday 13 March and running until Thursday 15 March at Dubai World Trade Centre (DWTC), Careers UAE will bring together hundreds of local, regional and international organisations with vacancies for UAE Nationals, and dans believe that the continuous increase in applications underlines the commitment of Emiratis to secure unique career opportunities. A leading provider of air navigation services, dans is known for its implementation of unique air traffic management solutions, and will highlight the key requirements of its National Development Program (NDP) for Air Traffic Control Officers and Air Traffic Engineers during the event. 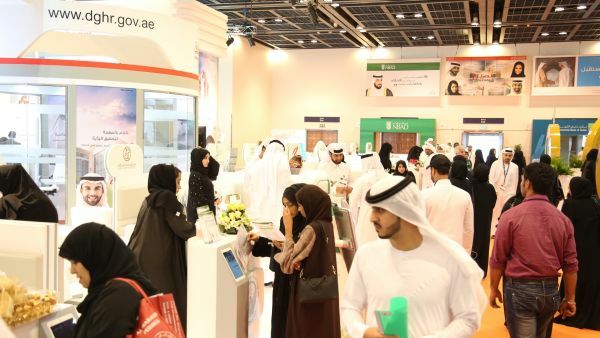 Ahli added: “Our participation at the Career fair is in line with the organisation’s strategic objectives of providing ultimate support to initiatives launched by HRH Sheikh Mohammed Bin Rashid Al Maktoum, in addition to enhancing its Emiratisation programs. Among the exhibitor line-up at Careers UAE is DMCC (Dubai Multi Commodities Centre), the world’s leading Free Zone for commodities trade and enterprise. In May 2016, DMCC launched the Emirati Graduate Development Programme (Almas) Designed to complement the Emirates plans, 12-month programme targets talented and highly ambitious Emiratis seeking to become the nation’s business leaders. Suzanne Gandy, Director - Talent Management, DMCC said, “Careers UAE provides the ideal platform for DMCC to meet passionate and dedicated young individuals who will help shape the future of our business. Young Emirati talent brings fresh ideas and innovative solutions to the organisation, in line with the vision of His Highness Sheikh Mohammed Bin Rashid Al Maktoum, Vice President and Prime Minister of UAE and Ruler of Dubai. Careers UAE is the leading platform offering opportunities for UAE graduates, encouraging young professionals to launch their careers. The process of recruitment and application requirements at Careers UAE are straight-forward which plays a key role in facilitating public and private Emiratisation employment initiatives. Careers UAE returns with support from Strategic Government Partner: Dubai Government Human Resources Department, Bank Sponsor Commercial Bank of Dubai; Partners: the Ministry of Human Resources & Emiratisation, Zayed University and the Higher Colleges of Technology; and Academic Partner: United Arab Emirates University.